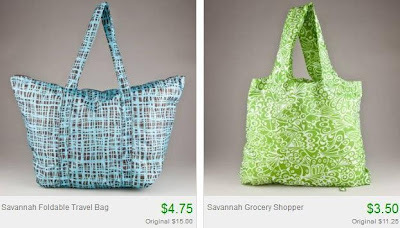 $4.75 Tote Bags, $3.50 Shopping Bags, $4 Zip Pouches & More + 10% Off or Free Shipping! Totsy is having tons of great sales tonight and this has got to be my favorite one! Check out the Shiraleah Handbags sale to find tote bags starting at just $4.75, snack sacks for $5, $10 laptop sleeves and much more! There's lots of different colors and designs to choose from.